Have you purchased a new TV? 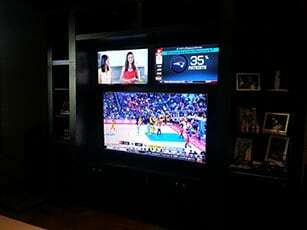 Do you need a TV installed or an Indoor Home Theater? Are you considering Audio/Sound Indoors or Outdoors? Is it your dream to have an Outdoor Home Theater? Are you shopping for a new TV? TechnoLiving is a local South Florida company that prides itself in being a professional, knowledgeable, quality electronics installations provider for both commercial and residential applications. Whether it is in one room or multiple rooms in your home. Technolivings trained and experienced technician team will work with ease and care resulting in providing you not only with state of the art systems and electronics but also with 100% satisfaction. Our goal is to do it right the first time! Why should you hire a professional TV installer? You have spent a lot of money purchasing your TV do you want to risk it not being properly installed? Can you determine the best location? Best location meaning where is the closest power outlet? Can the wall I would like my TV installed on support the weight of the TV? Where are my wall studs located on this wall? Do I want the TV cords to show and can I conceal the cord correctly myself? Do I want to break my back doing this as well as risk ruining my drywall? Do I really know what height I want the TV? How long will this take me? Is it worth my time struggling with this? Our technicians will install your TV’s quickly and correctly the first time. Our trucks always carry the right equipment and tools. Should you not have a TV mounting bracket or the correct TV bracket for your size TV there is always one for any size on our technician’s truck. We can conceal cables and cords the correct way and complete the job with ease and perfection. Should you want to purchase a TV from TechnoLiving we will match pricing on most brand names. 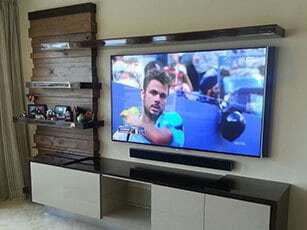 We will then make an appointment to deliver your purchase directly to your home with only an installation fee for our professional installation of your TV or TV’s. TechnoLiving will also discard the box and packing from your home. Call our sales team today and discuss what TV’s you have already looked at or have considered purchasing and we will quote you a price on that same brand. Included in that price will be free delivery with our installation fee. What is a HD, high definition, TV? An HD, high definition, TV means a resolution of 1,920 by 1,080 pixels. HD, high definition, TV’s have been around for several years now and are more than ready for an upgrade to the latest advancement in color and image enhancement. You are probably wondering how important is the resolution of my TV? 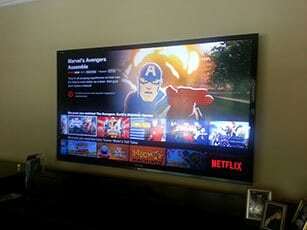 TV Resolution is a very important part of what defines your TV’s picture quality. The size of the TV and the distance of the TV determines what resolution is needed. The more the TV fills your eyes field of view, the more enraptured you become by the imagery and content before you. So then, you might be wondering what are pixels? A pixel is a minuscule and precise unit of information, an area of illumination on a display screen, that when made up of many of these information units will form a picture. The more pixels the more the picture looks real or like the original object or person. It is a unit of programmable color. So, for ultimate realism, better definition and clarity we recommend a 4K-Ultra HD TV which has a resolution of 3,840 by 2,160 pixels which is 4 times the pixels found in a HD, high definition, TV. However, whatever your needs are TechnoLiving can provide you with most any size and brand TV, deliver it and install it with precision and white glove care inside or outside your home. We can also sell and install TV’s that are not available in a store. A 100” or greater TV may suit your needs, perhaps a unique “Grand Theater” outdoors that is a “complete cinematic entertainment” system with large format LED screens and “award winning” surround sound speakers and amplified technologies that are built into a weatherized enclosure. What about audio – sound systems? TechnoLiving will advise you on which systems will serve your particular needs and give you options to choose from. Whether you want a simple surround sound system for your TV, a multi room audio system that you can listen to and control from an app or cinematic sound in a home theatre our professional technicians have the knowledge and competence that will satisfy your needs. Whether it is a TV wall mount or a home cinema we take pride in our work and knowledge. 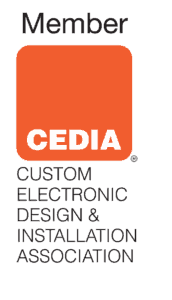 It is not just the installation of a home theatre it is also being able to offer you a simple customized automation system that suits your individual needs. Home theaters do not have to be complex when utilizing other components and multi-operation of other rooms and home controls. Outdoor TV’s as well as outdoor theatres are very popular today in both residential and commercial applications. TechnoLiving will offer you a free consultation where they will listen to what your indoor or outdoor vision is and provide you with a professional assessment and proposal that will give you options and suit all your needs. Remember outdoor TV home theatres and audio are just as popular today as indoor and a great way to entertain family and friends in South Florida. Let us make your home more efficient and more enjoyable. Just another way to improve your life. You deserve it!